Have you ever noticed how children just want to build and create? Why do we stop creating when we become adults? 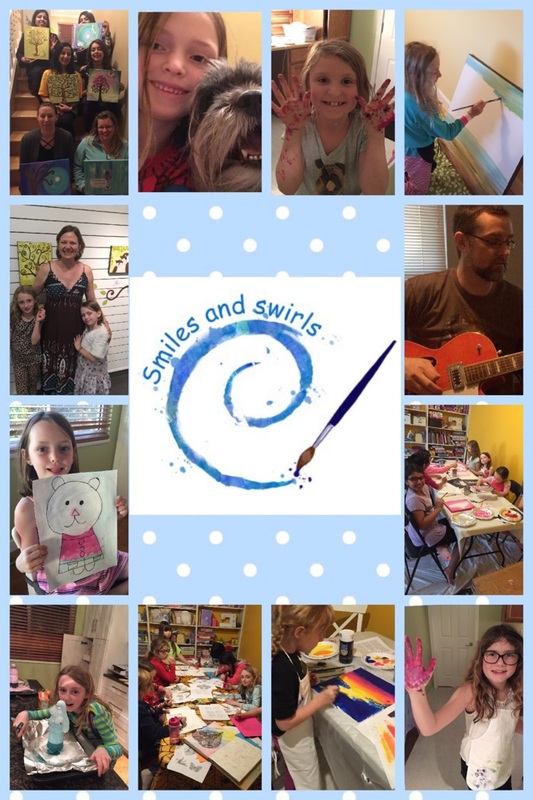 I am a big believer in encouraging creativity in everyone. 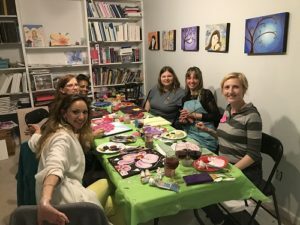 There is a growing body of research on the cognitive and mental health benefits in engaging in creativity. 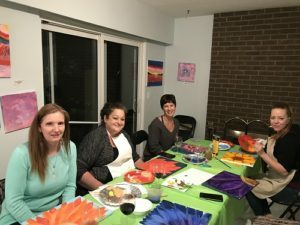 Researchers have found that creativity can relieve stress and anxiety, increase positive emotions, improve immune responses, boost self esteem, reduce the likelihood of depression, and the list goes on. Creativity is not just painting it includes so much more such as writing, music, dance, photography, pottery, textiles, and drawing to name a few. The beneficial effects of creating aren’t dependent on your skills it is the process of creating that is important not the product you are making. Being creative offers you a break from the pressures of life. So get out there and be creative…..sign up for the class you have always wanted to take, get out your camera and take some pictures, write in your journal, cook a new food, plant your garden differently this year, dance around your house, sing to the songs you love, draw, go to a wine and paint night with friends, take an online painting class and welcome creativity into your life. You will feel so much better. I have exciting news! 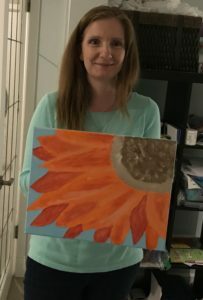 I have been working on an online painting class. 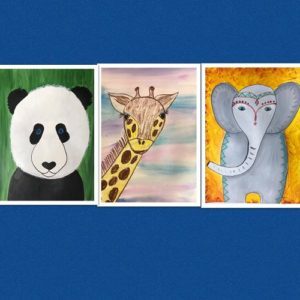 This is an opportunity to explore painting and creating animals from around the world with your kids with step by step videos in your own home. Registration starts soon! 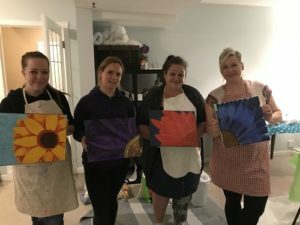 This past weekend I ran a wine and paint night and I loved watching as adults unleashed their creativity with colour and paint. The paintings were beautiful but to me it was the process of creating that was more important. 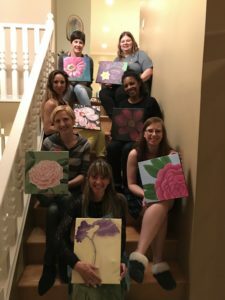 Thanks to the lovely ladies that came out and bravely tried something new. You inspired me and filled my heart with so much happiness.